I hope this note finds you well. Of course, the Super Bowl is set to be played right here in Atlanta, and the entire city is buzzing with excitement. I am sure some of you will be attending the game, and many others will be watching at viewing parties throughout the community. This promises to be a fun weekend. However, the upcoming Super Bowl is not the only reason I am excited today. 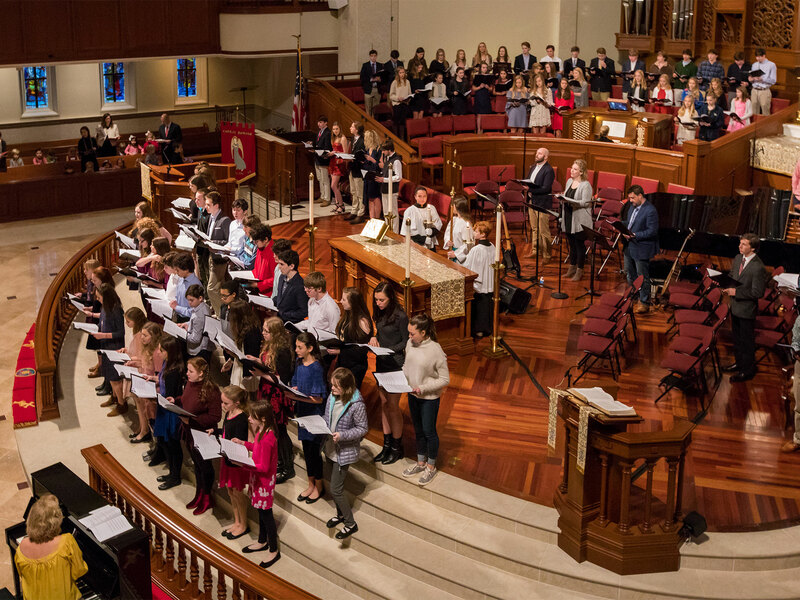 Sunday also is Youth Sunday, and our students will be leading us in worship. They will be present in great number, and several will speak to us about their faith. I am grateful to our youth director Chris Mucha and his leadership team of Ryan Holder, Caroline Paris, and Grace Nadeau. They, along with a host of volunteers, do an amazing job to help our middle and high school students grow as disciples of Jesus Christ. Thank you for your support of our students. By the way, if you are looking for a time to worship Sunday evening before the game, I invite you to the Sundays @ 5 service at 5:00 pm in the Moore Chapel. I will be preaching a message entitled “Dealing with Rejection.” No, it has nothing to do with the Falcons not being in the big game, but I think rejection is something we all encounter at some point in time. How well do you deal with it? I look forward to wrestling with that question on Sunday evening. Kick-off is scheduled for 6:30 pm, and I promise to have you on your way no later than 5:45 pm. I look forward to seeing you Sunday. To learn more about our accomplishments in the past year, please read the “Impact Report” linked here. You will discover just how much God blessed us in 2018. As you can read, the meeting was overflowing with good news. I invite you to pray for your church in these days and resolve to be a part of this exciting ministry. 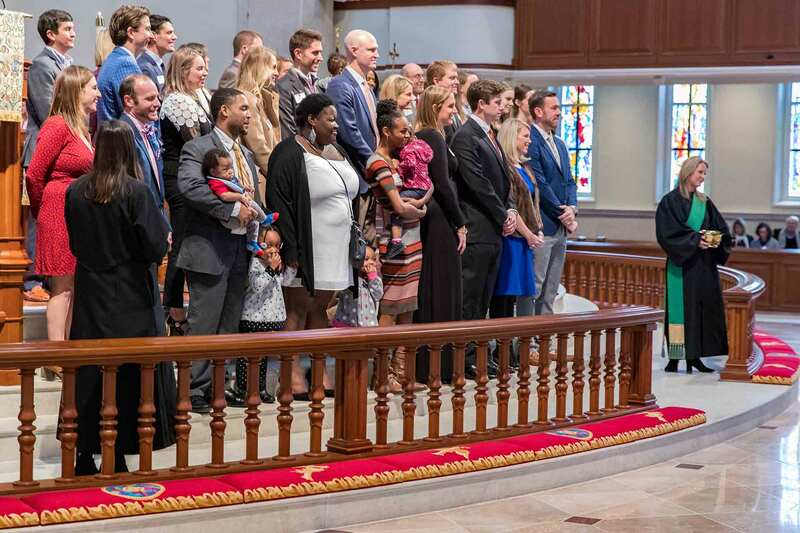 On Sunday we welcomed 20 new members to Peachtree Road (6 joined on profession of their faith and two were baptized). 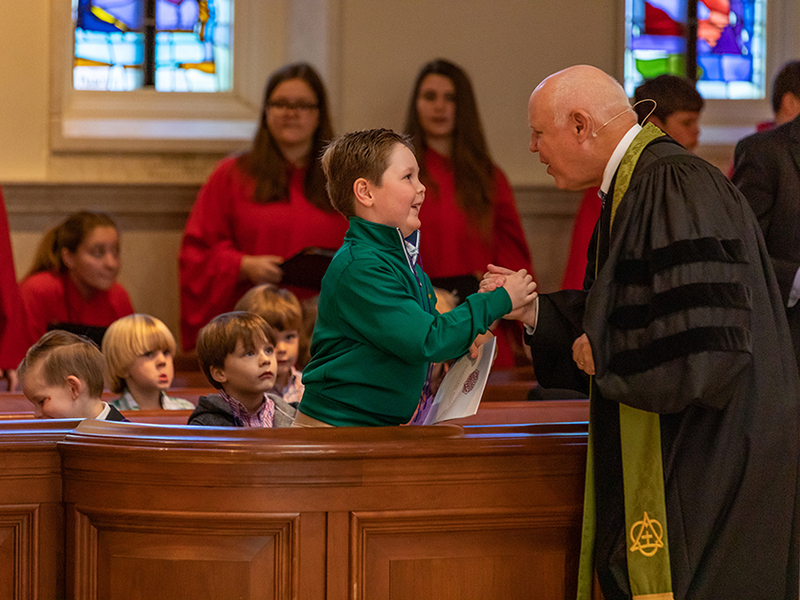 We presented them with new Wesley Study Bibles and renewed our own covenant with Christ to support the church with our prayers, presence, gifts, service, and witness. It was a good day. If you or someone you know is considering making a new start spiritually by joining Peachtree Road, now is a good time to make that new beginning. Please reach out to Mimi Brunson (MimiB@prumc.org) on our church staff, and she will delighted to help you. Finally, I would like to take this opportunity to invite you to join Wendie and me at a fun event on Friday, February 8. Peachtree Road’s global outreach ministry team is sponsoring an art auction to benefit our partners in ministry in Nicaragua — Pineapples of Peace. With the civil unrest in that country, they are struggling to do their work and need our help. The event will be held from 7:00 pm until 10:00 pm at Trackside in Chamblee and will feature both silent and live auctions for one of a kind pieces of art as well as delicious food and fellowship with your fellow church members. To register please use this link. Thank you for all that you are doing. In this year of hope, let us seek to follow Christ more nearly day by day. See you in church Sunday! PS – I remind you of the mid-week prayer services that are held each Wednesday at 12:00 noon in the Moore Chapel. We meet for 30 minutes for a time of guided prayer, and many have found this to be a helpful mid-week time of spiritual enrichment. I commend this time to you.